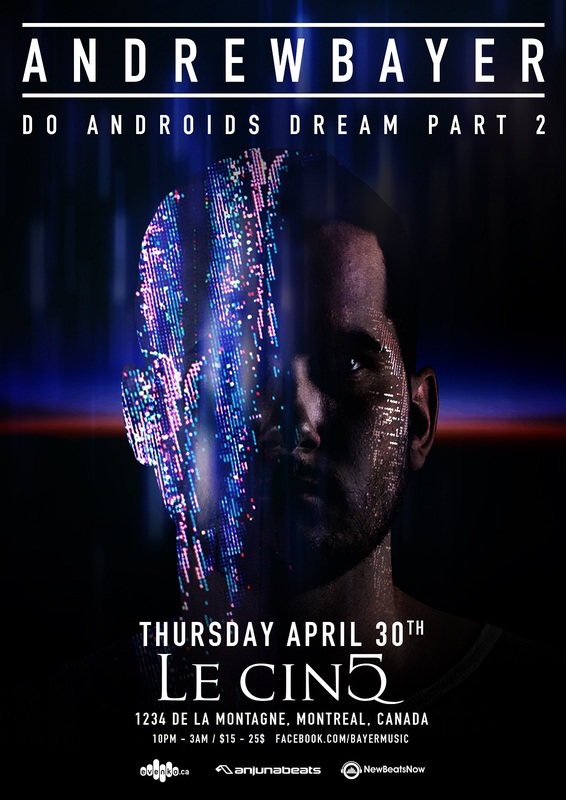 Andrew Bayer Do Androids Dream ? Recently, Andrew returned home to New York joining Above & Beyond for Group Therapy 100. Featuring new music from his forthcoming "Do Androids Dream?" EP and recent favourites "Bullet Catch" and "The District", relive his epic set in full HD, live from Madison Square Garden. 18 years & over (Valid ID's required). ATTENTION: Wantickets est le SEUL revendeur de billets en ligne autorisé pour cet événement. Si vous achetez un billet électronique ou physique d’un revendeur non-autorisé (ex : Craiglist, Kijiji, StubHub) nous ne pouvons pas garantir que le billet est valide. Wantickets, Le CINQ, Evenko et New Beats Now ne sont pas responsables pour les billets contrefaits et ne peuvent pas garantir la validité des achats effectués avec un revendeur non-autorisé. BUYER BEWARE: Wantickets is the ONLY authorized online ticket seller for this event. If you buy a print-at-home-ticket or hard ticket from an unauthorized vendor or source (ie: Craigslist, Kijiji, StubHub) we cannot guarantee that it is a valid ticket. Wantickets, Le CINQ, Evenko and New Beats Now are not responsible for any counterfeit tickets and cannot provide support for any third party purchases.